Use Our Quick Search To Find Your Final Year Project Research Topics in Seconds! 13,017 Published Final Year Project Research Topics and Free Project Topics with Relevant Research Materials and References. Computer Science Source Code Projects; Source Codes, VB/.NET, JQuery, PHP, Python, Java, C#, C++, Node JS, MatLab, Project Ideas, and more. 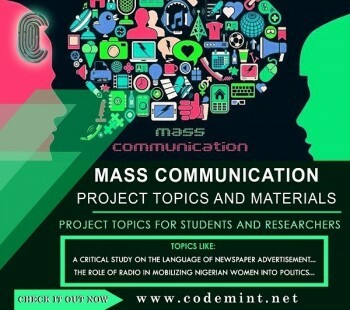 » We seek to lighten the difficulty faced by students working on their research project by maintaining CodeMint, which hosts thousands of Final Year Project Research Topics and Free Project Topics that are constantly updated. Project topics and research materials are added frequently. 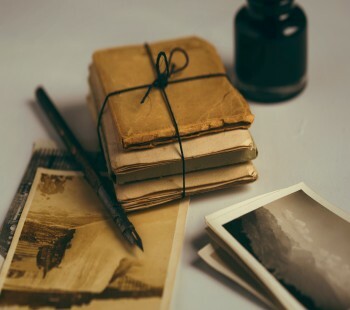 » The Complete Research Materials published on this website should ONLY be used as related works or to get research conducted by others in the same area, improve on it or use it and reference it in your own research work. We DO NOT advise using this research materials word for word to avoid plagiarism. Logon to https://codemint.net and search for your topic or click the department of your choice and pick a project topic. If you do not find the topic of your choice, rephrase your search and use a shorter search term or carefully go through your department catalog. If you still cannot find your desired topic, then hire a CodeMint agent to assist you. Read the Abstract and Chapter 1. 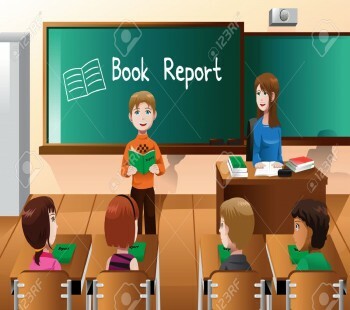 Go through the published abstract and chapter 1 of the project topic of your choice and see if the research is conducted in the area of your interest. Kindly note that complete project materials are delivered "as-is", meaning we do not edit the work but give you as it is, you can request for further assistance by contacting us. Once you are satisfied with the abstract and chapter 1 content, then request to get the complete research material with all chapters, research data and references. You can get any research material of your choice within minutes. A token fee is required to pay for hosting space and maintainance. 1. How Do I Choose a Project Topic? Choosing a project research topic has been one of the major challenges for final year student in tertiary institution. However the following guide line will be of assistance to students. Brainstorm within a particular field of idea and write down possible challenges. Study other materials that are much related to your ideas and their background information. Choose a topic that you understand and avoid big vocabulary. Define your idea as a focused project research topic. Be certain of your research materials and be flexible. Make sure you study and research more about on your project topic. Come up with a thesis statement. 2. How Do I Get The Complete Research Material After I make payment? If you make an online payment, then you will receive a download code via your email within 60 seconds, follow the steps in the email to download your research material. Meanwhile, if make a bank transfer or bank deposit payment, we will quickly confirm your payment and send you a download code via email with steps that you will use to quickly download the complete research material. This process typically takes less than an hour to complete. 3. How Do I Arrange My Table Of Content in My Project? Table of content is a compass that provides a quick guide to a book's content. It is mostly arranged following a particular sequence usually from the first to the last page. First, arrange your work and number all pages. Be sure to arrange your project work in chapters and subheads. Number all the pages and insert roman numerals where necessary. Follow a particular order for example. Begin your numbering from the title page. 5 yardsticks on which project defense pa.. Complete guide to writing final year pro..
How to Write and Setup a Final Year Proj..
CodeMint Announces The Change Of Keyword..
Codemint announces the optimization of i..
Codemint announces political science res..